Babies enjoy books, other babies, and their own blossoming abilities. 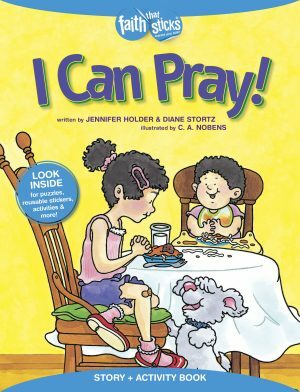 This sweet and happy board book combines all three and introduces babies to God’s love for them. 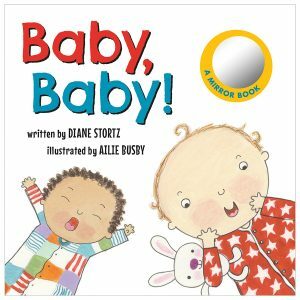 The short, rhyming text pairs with colorful images of babies engaging in familiar activities, so you can use the book as an early-learning concept book too. 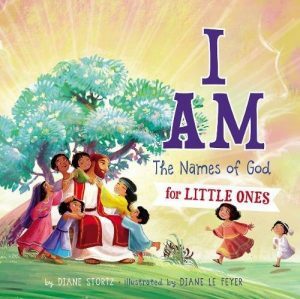 The final line of the book says, “Baby’s always loved by God.” And on the last page, a mirror lets your baby answer the question “Who does God love?” each time you read the book.